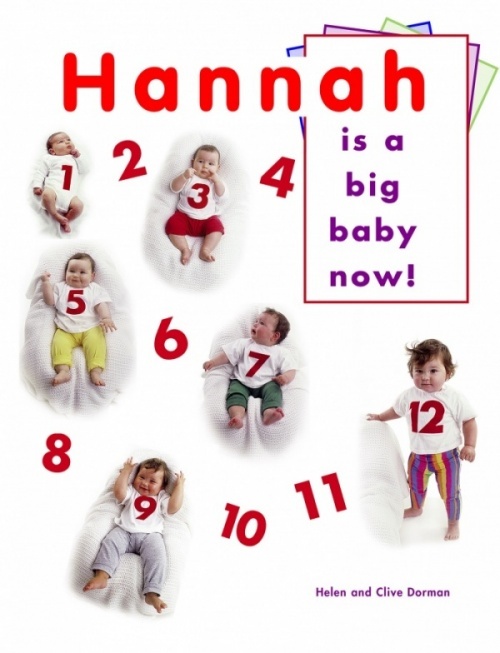 Social Baby | Hannah is a Big Baby Now! Ideal for parents who are about to introduce a new baby onto the family or those whose child is fascinated by babies. Hannah is a Big baby Now! is a month-by-month record of one baby during her first year. 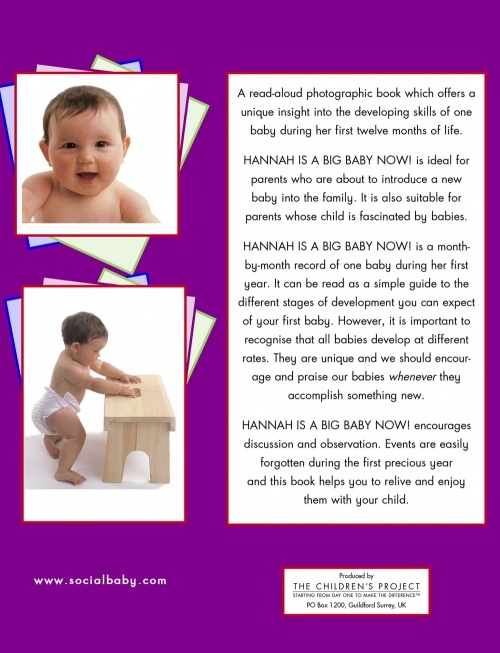 It can be read as a simple guide to the different stages of development you can expect of your first baby. However, it is important to recognise that all babies develop at different rates. They are all unique and we should encourage and praise our babies whenever they accomplish something new. The book also encourages discussion and observation. Events are easily forgotten during the first precious year and this book helps relive and enjoy them with your child.